Lampang is the third largest town in northern Thailand, and was a major city in the Lanna kingdom. However this historical importance has been largely over shadowed by nearby Chiang Mai, and Chiang Rai. Lampang is also known as ‘Horse Carriage City’ as it’s still one of the last towns to use horse & carriages as a form of transport. 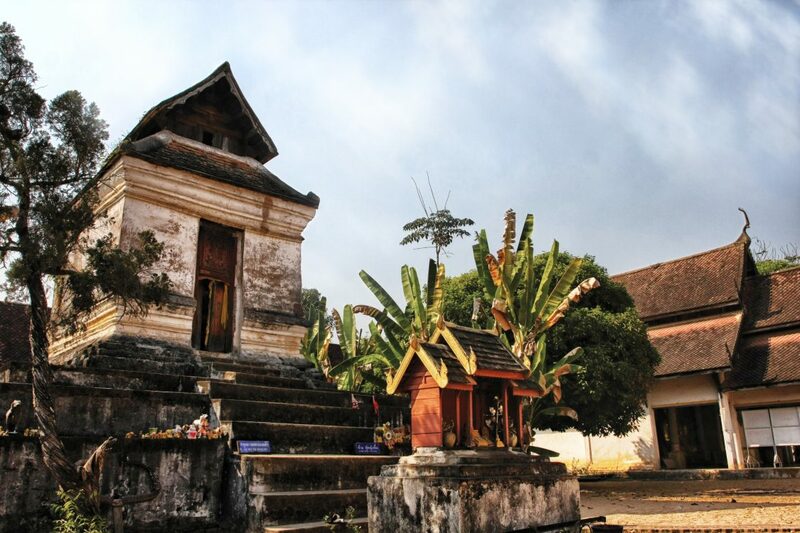 Lampang is steeped with a rich history, and is certainly one of the most unique placement locations within Thailand! Check out what XploreAsia teacher astarr728@gmail.com said about his experience living and teaching in Lampang! How far is your town from the nearest city or provincial capital? I’m in a city, but the closest real big city is Chiang Mai, which is about 1 hour and a half away. Lampang has white clay in the surrounding area, so there are many ceramic factories in my city and shops selling beautiful hand painted ceramic bowls, cups, plates, etc. 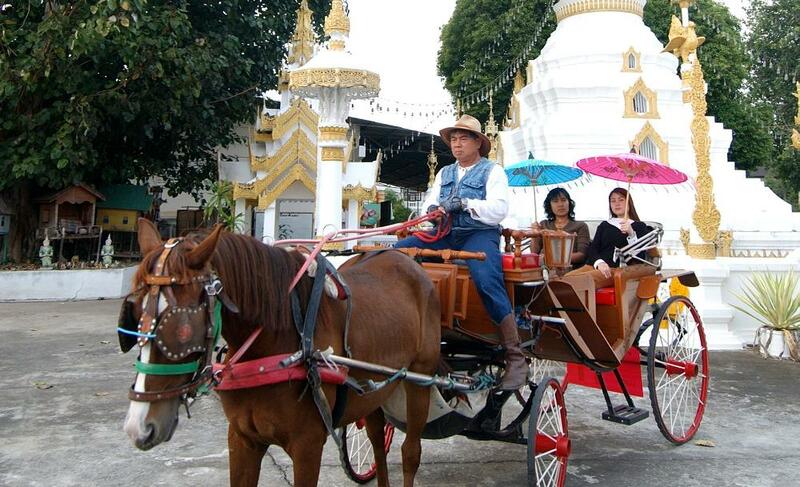 We are also the only city in Thailand that still has horse drawn carriages regularly used around the city. I’m surrounded by night bazaar’s, markets, a vegetarian restaurant, and restaurants that know I’m a vegetarian. If I miss food from home I can stop by a little cafe that sells homemade red pepper hummus. There’s a small park near my house and larger park a little further away. My school also has a pretty nice space to work out in. In addition, the school has a large gym where the teachers are often found playing badminton or basketball. My city has a Big C, Tesco, multiple 7/11’s, markets, and a mall, all walking distance from me. Or I can always take a songtau. What type of transportation do you use to get around? I mostly walk. Sometime I hitch a ride from one of the teachers at school. Or I take a songtau. For the first month, I lived in a small, smelly one bedroom apartment. After the first month I moved to a 2 floor, 2 bedroom, 2 bathroom townhouse with a full kitchen and includes A/C units and a washer. I’m pretty happy with my accommodation now. There are always night markets to check out or restaurants to try. It’s never really boring. I visit local temples, a national park nearby (Chae Son), catch up on sleep, do laundry, clean, visit Chiang Mai, hangout with teachers from school, go to tons of coffee shops, and finish lesson plans for the upcoming week. Hmm it depends what you’re looking for. There’s always Chiang Mai if you’re looking for a larger city with Western tastes. There’s also an Elephant Conservation Center in my city, which is worth checking out. Befriend the teachers at your school. They are your greatest resource. I was sick at one point and the teachers really took care of me.